It's not every day you meet a beetle who can draw like Albrecht Durer, but Marvin can. He and his family live in a New York City apartment, and when James (whose father is a professional artist) receives a drawing set for his birthday, he and Marvin are drawn into a plot to catch an art thief. Similar in subject matter, but not in style, to Chasing Vermeer by Blue Balliett, this book has an appealing balance of adventure, mystery, and universal themes for upper elementary students, including friendship, parental approval, and being true to yourself. 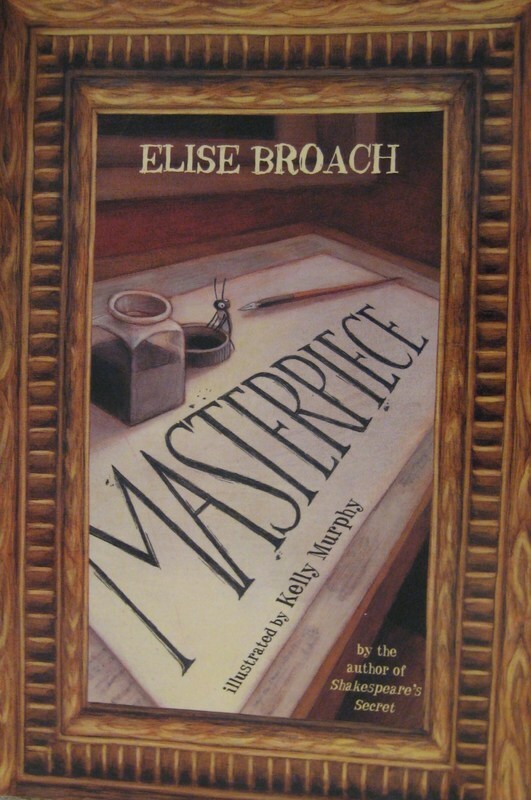 The characterization is insightful and relatable, even for readers without any interest in art. This book is charmingly written, offering ideas that ring true without repetitive symbolism or condescending explanations. This selection would be an excellent choice for student book clubs, as it has a wide range of appeal.
" When you saw different parts of the world, you saw different parts of yourself. And when you stayed home, where it was safe, those parts of yourself also stayed hidden."